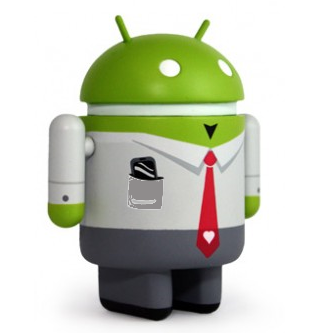 The Android smartphones is of great use in the business world and organization. Most times, you don't have to take your laptops and PC's to your workshop when a mini computer that is very well intergrated with awesome functionalities is just inside your pocket. The truth is that, 90% of most business activity that is proceeded with a computer can also be completed with the use of your android phone or tablet, so why don't you save the stress of performing multiple task on your PC when your android device is just right beside you. Today's stroll, I would highlight the 5 Must-Have Free Android Apps for Business. Notepad is a very useful business app for android smartphone. I've so much loved to use Notepad on my android device whenever am preparing any minor tutorial or article, this has actually helped me alot. Most times, I'd travel out, leaving my personal computer behind for over months because I've my Notepad in my android smartphone that helps me perform my task with ease. So if you're a creative person in terms of drawing and painting, the notepad is also recommended for you. This is a better version of the cloud print with lots of advanced features. Actually, the key function of this app, is to help print your file from your android phone or tablet. - It also helps in sms, drawing, mail, webpage and contacts printing. - Printing can also be done from facebook, google drive, dropbox etc. Evernote is a very usefull and the most top-rated android business app that helps you remember all activities across your android device. It can also be used to jot business notes, create to-do list, capture photos and the jotted note is easily found whether at home, at work or anywhere. - It also helps connect to other apps you'd make use of. Google Drive is also another useful business app for your android phone or tablet that helps store all your important documents, upload photos and videos and other vital files. - It also view PDF and office dociments and other useful features. The quickoffice app is also a top-rated business app that helps edit Microsoft Office Documents, presentations and spreadsheets on your android phone or tablet. - It helps very well in documentation, like, creating and editing Word, Excel and also Powerpoint files. - It also helps to open PDF documents. - It also enable file sharing through previously shared Google Drive folder. It's very compuslory for every business personality to download the highlighted apps above, because it's a must-have app that would be beneficial to you on most of your business activities. Nice article. What do you think about password managers like StickyPassword and others? They are not exactly for business purposes, but I use it for my online business everyday. I think you need to add Mailwise, it’s a free email app that very convenient for businesses, you can easily setup multiple email accounts like hotmail and outlook.